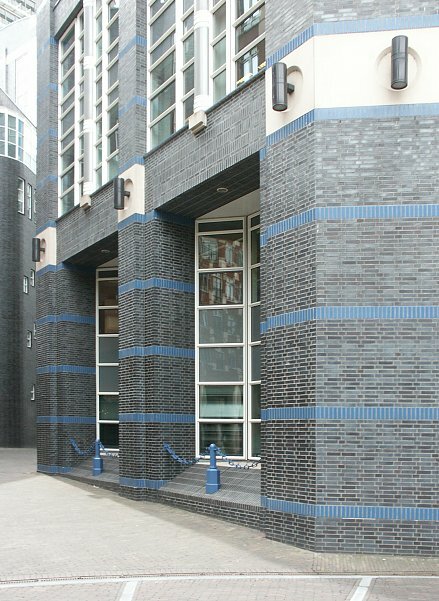 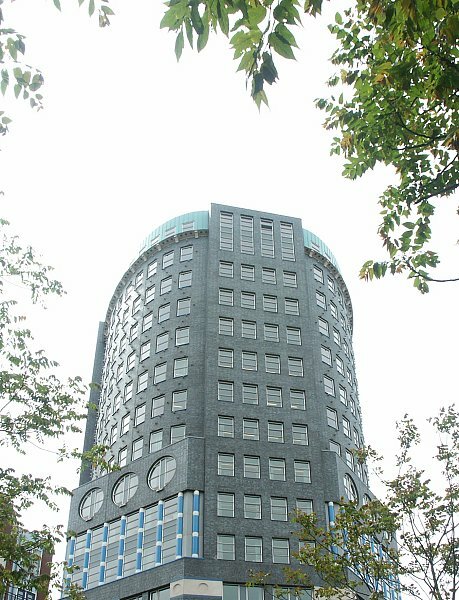 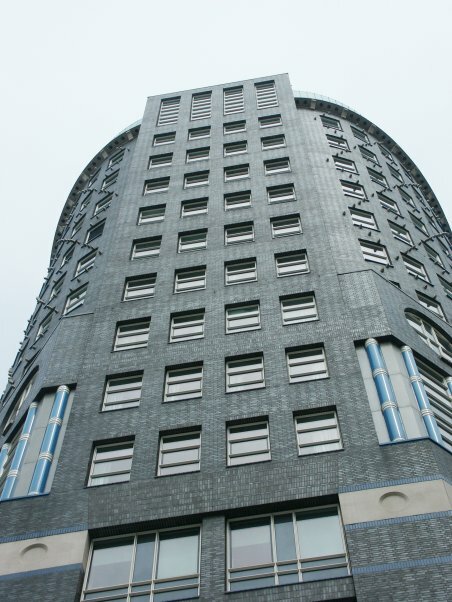 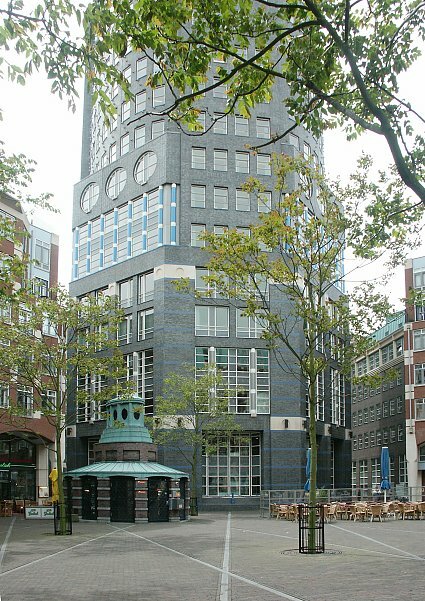 This octagonal high rise office building (78 meters high) uses black bricks in contrast to the other buildings in this renewed central city area that had been bombed during World War II. 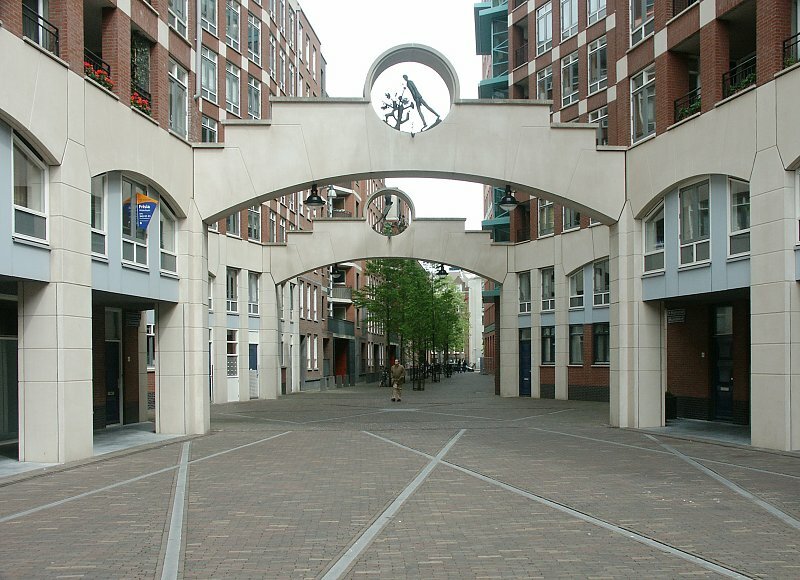 The master plan of this area was designed by Robert Krier (in cooperation with Sjoerd Soeters). 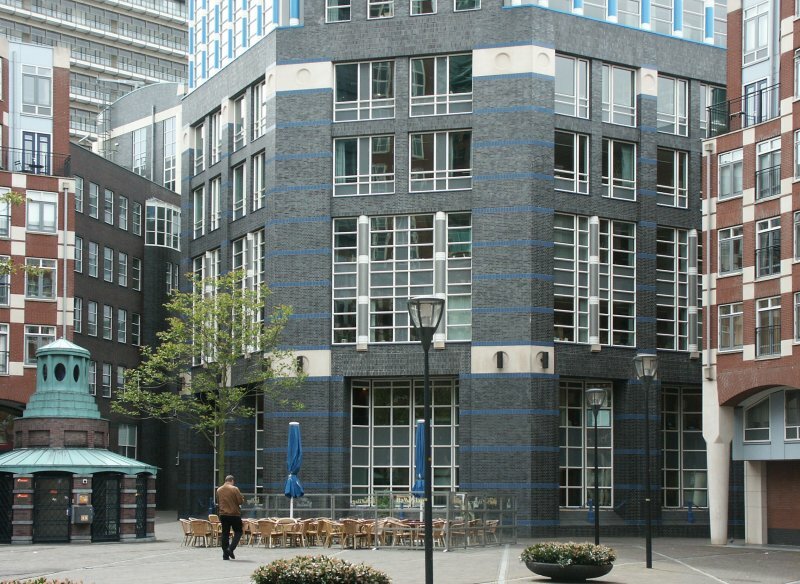 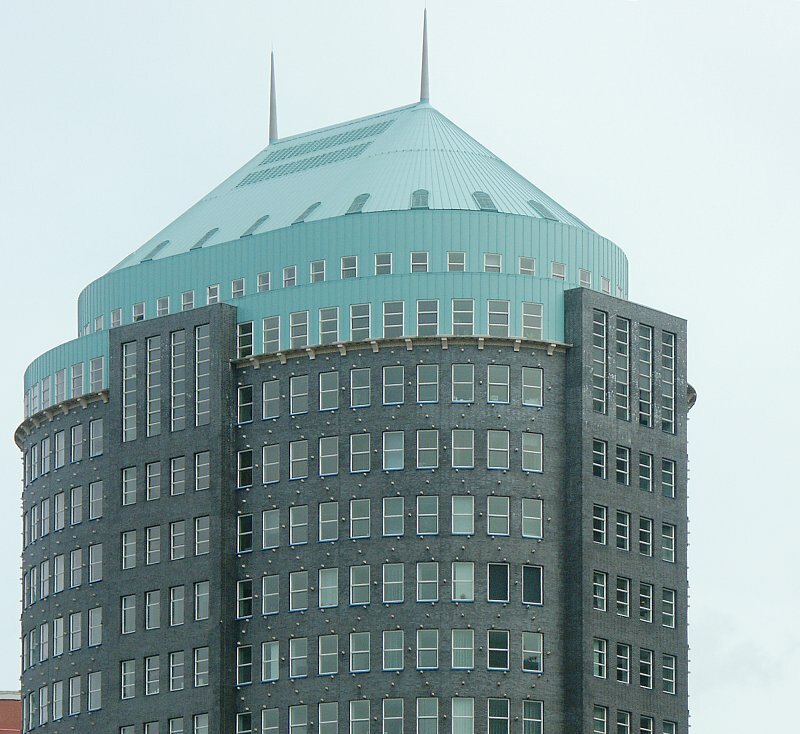 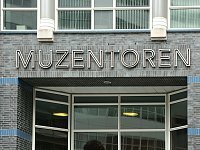 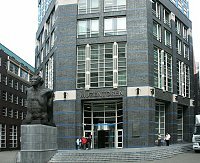 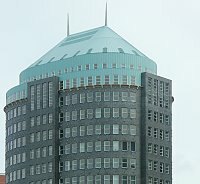 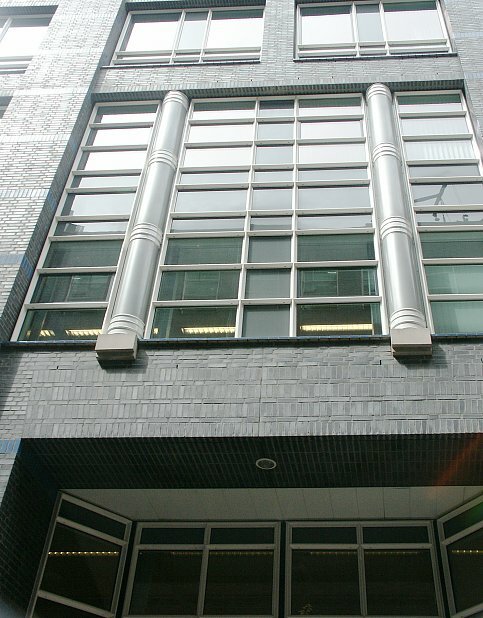 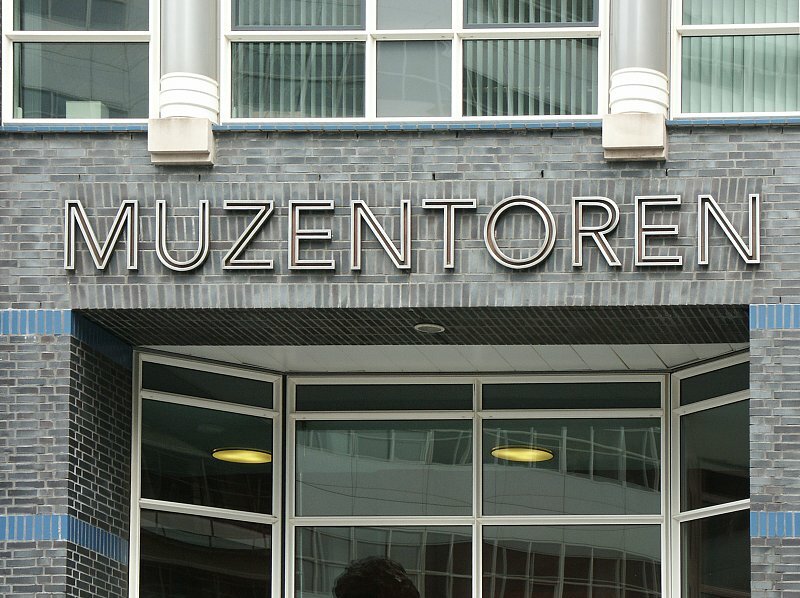 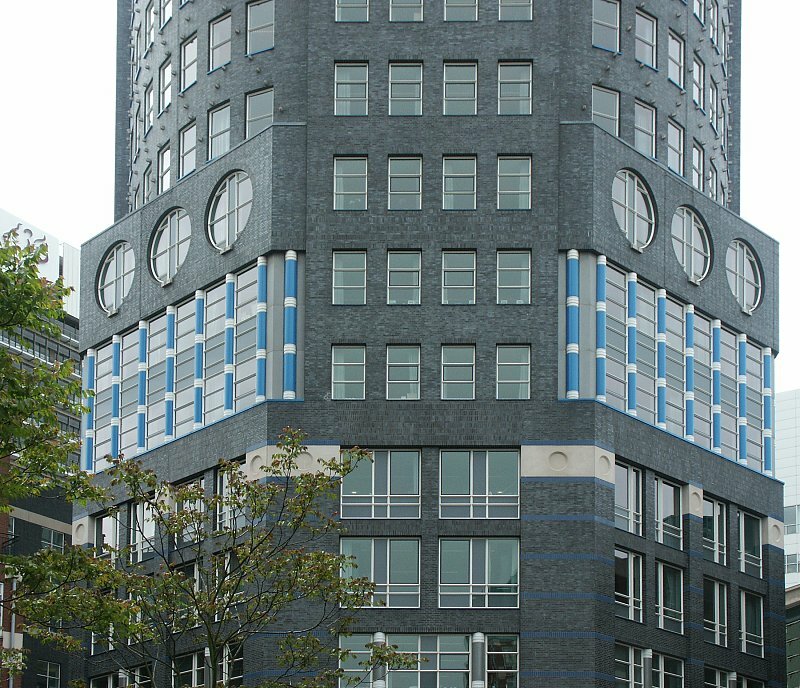 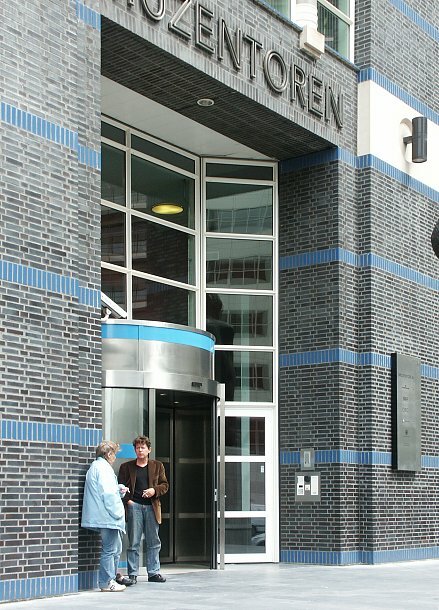 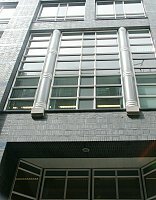 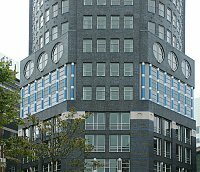 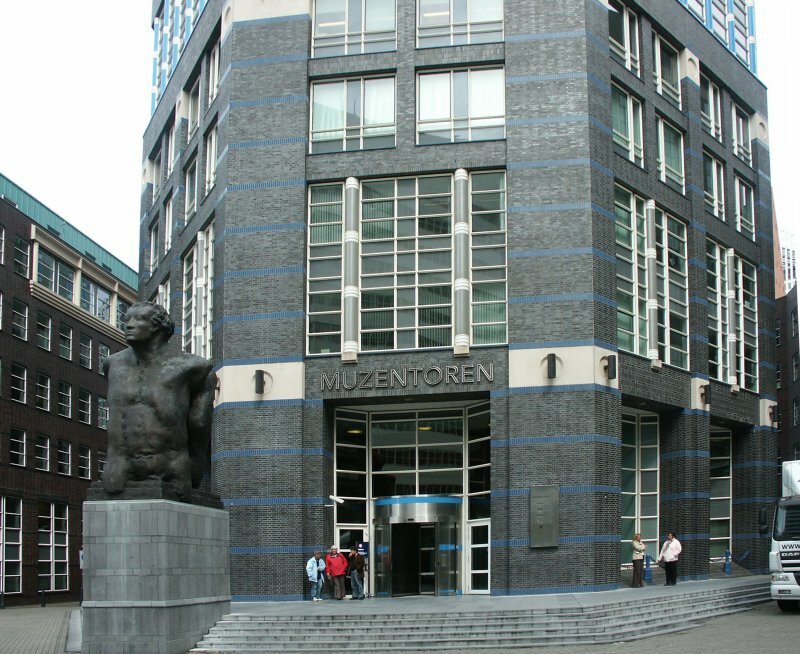 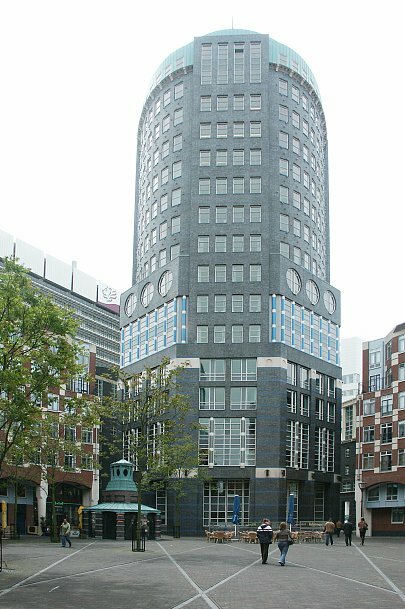 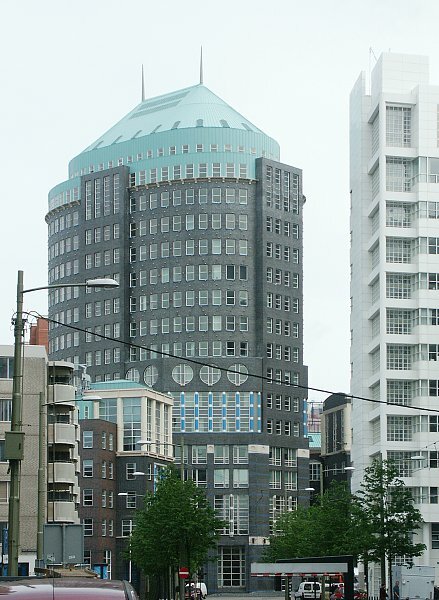 See other post-modern buildings in The Hague: Meier's City Hall and Library, Pelli's Zurichtoren, Graves' Castalia, and Kohn Pedersen Fox's Hoftoren.